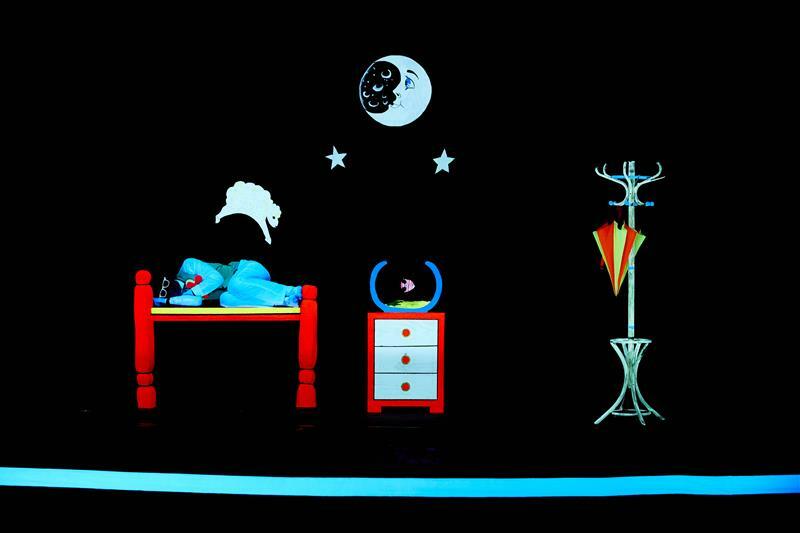 Enjoy the evening without words - Black light theatre is nonverbal. 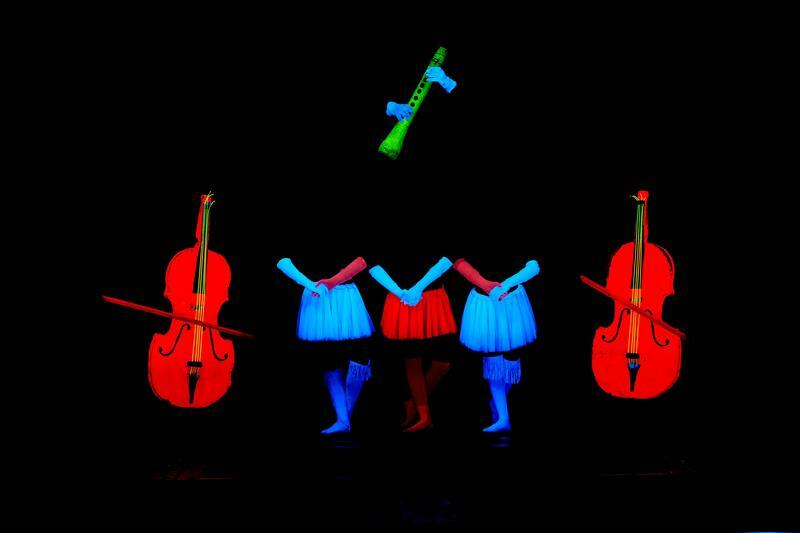 WOW performance is suitable for people of all ages, a magnificent black light theatre show for the whole family. Welcome to the world, where beautiful mermaids live, where the power of wild nature reveals itself and fragile flower bunches can dance. 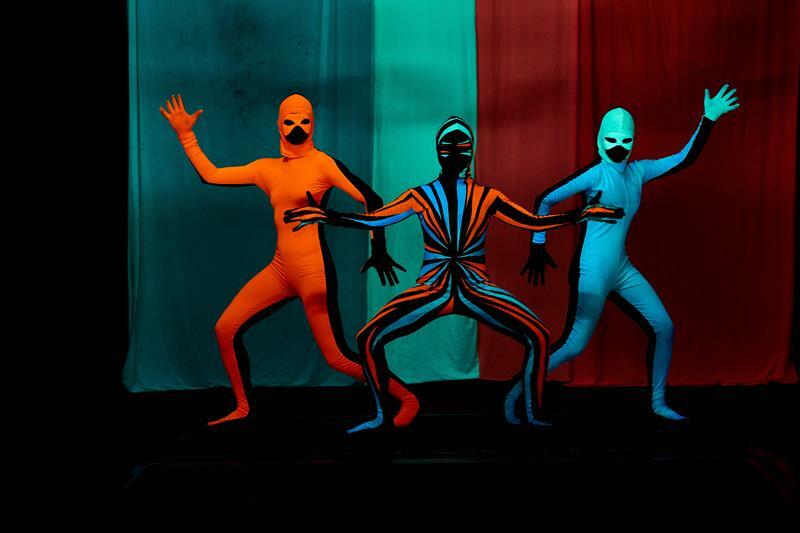 Welcome to the wonderful world of Black Light Theatre WOW! The music is composed by one of the Hollywood´s best song writers. 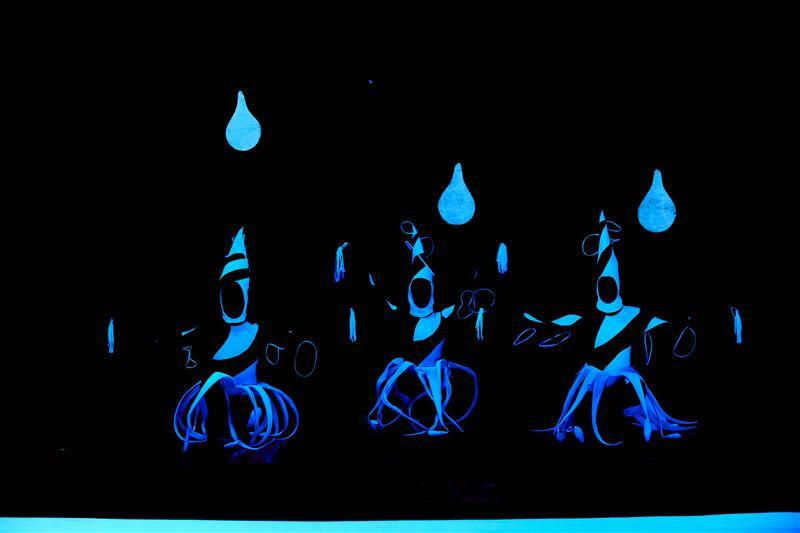 In this magnificent performance, which combines traditional techniques with modern pyrotechnics, the magic of the Black light theatre reaches its peak. 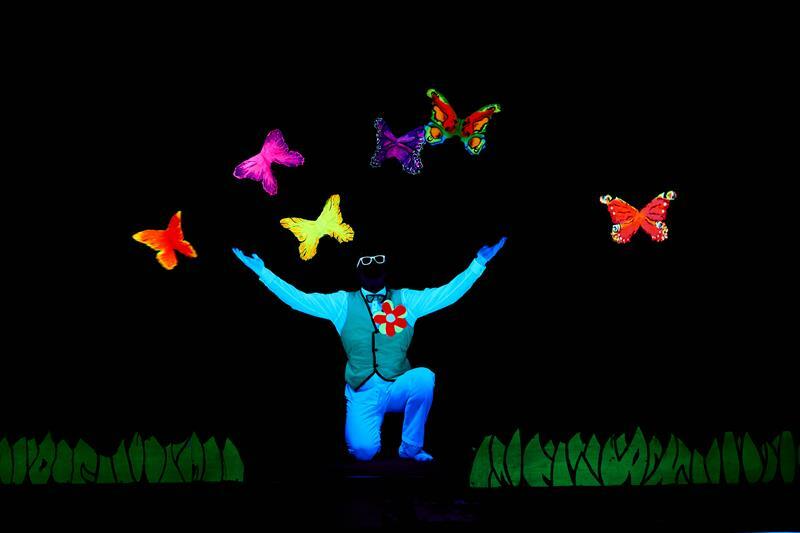 Prague's Black Light Theatre WOW combines an ultra violet lights and a fluorescent colors with special effects, creating a rare magical moment that will "wow" you forever! In all of us there is a child trapped by his fears. The WOW show tells the universal story of a man searching for a child inside him and the path of each of us takes to overcome the fears we carry within since childhood. 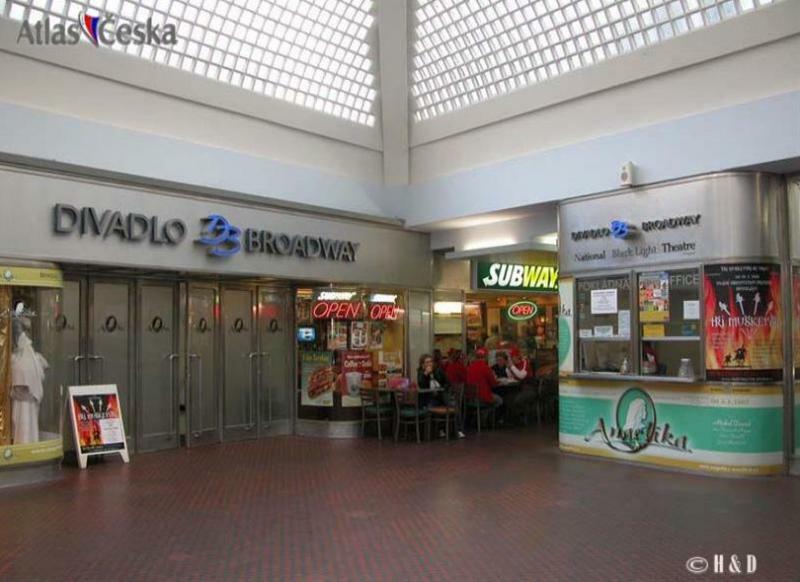 This exiting show presents new attractions and is performed in interaction with the audience,i.e. in one of the scenes six giant fluorescent balls descend from the ceiling and the cheering audience pushes and rolls them from side to side. 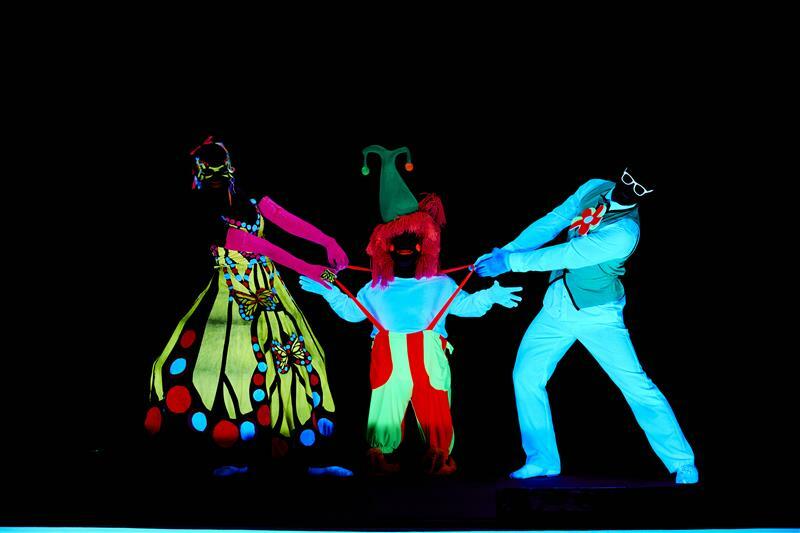 To learn more about Prague black light theatre go to What is Black Light Theatre? 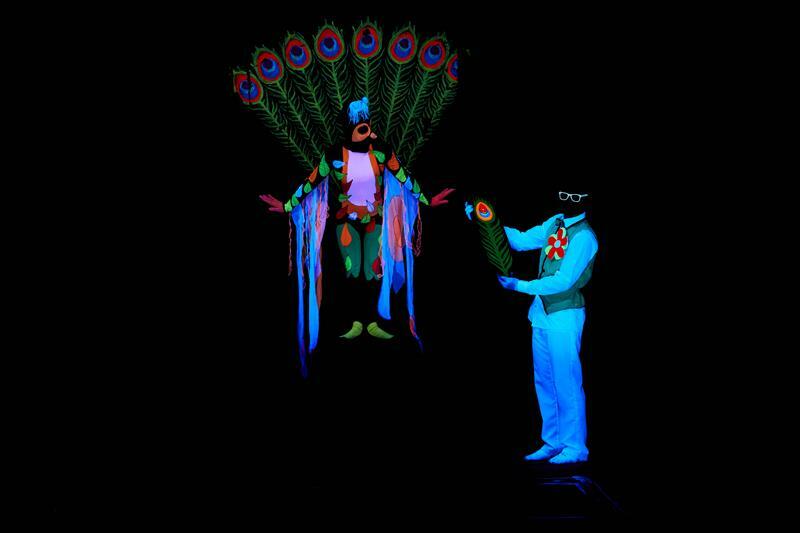 In the performances of the WOW Theatre, which combine traditional techniques with modern pyrotechnics, the magic of the Black light theatre reaches its peak. Prague's black light WOW theatre blends ultra violet lights and fluorescent colors with special effects, creating truly magical moment which will "wow" you forever! There is a child inside each of us waiting to burst out. 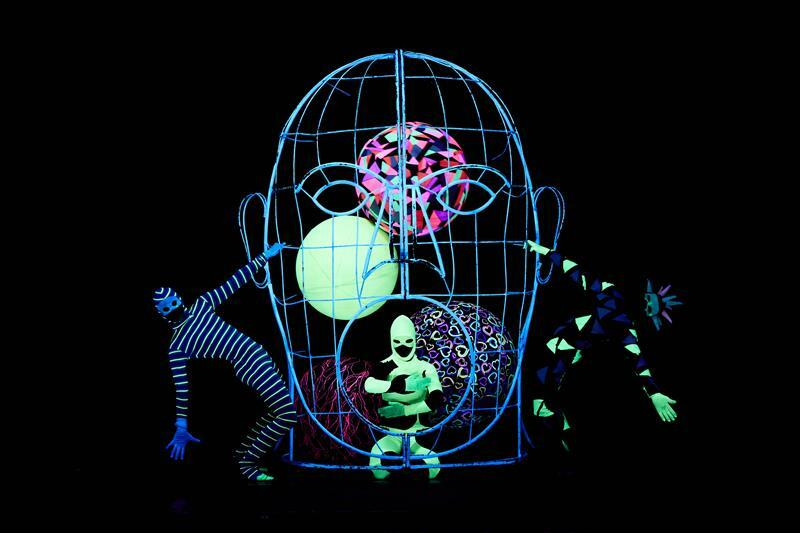 Prague's Wow Black Light Theatre show tells the universal story of a man searching for the child within himself and the path of each of us takes to overcome ourchildhood fears. This exiting show includes new skits and thereis a lot of interaction with the audience, eg. in one of the scenes six giant fluorescent balls descend from the ceiling and the cheering audience pushes and rolls them from side to side. 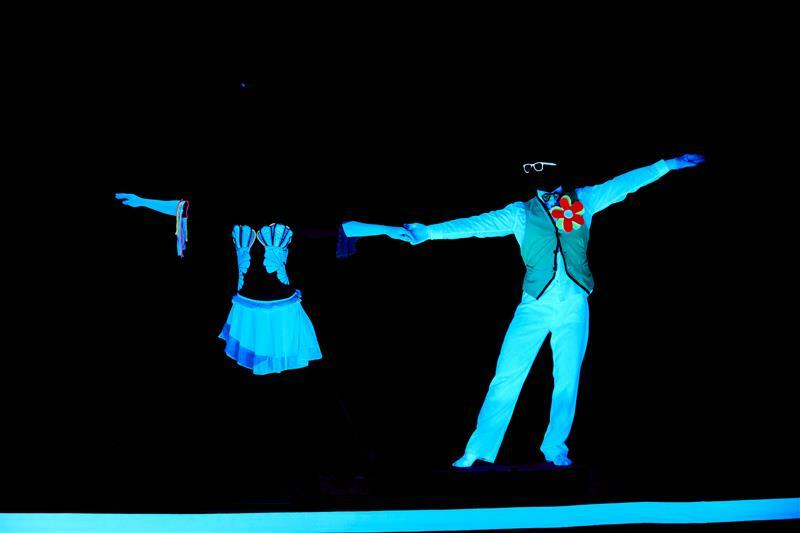 If you want to know more about Prague black light theatre, go to our "What is black light theatre?" article. Nous avons passés un excellent moment. Spectacle de qualité.Horaires respectés. Not a usual performance. Interesting playing with colours and lights. Worth to see it in a casual environment. Well done. Fair price for an hourly event. The show was ok. I have to say I was not very impressed. I felt that more could have been done with the scenery on stage and so on. The experience overall was pleasant and I particularly enjoyed the last part where there was more interaction with the crowd. Super show ! Overwhelming! Not only a good show but an interactive theatre! If you don't show up you' ll miss something special! The part with the participation of the audience was amazing!!! It was good, but I didn't quite understand the story line. It wasn't my husbands favorite show. The show was nice. The dancers came among visitors to make great interactions.